Discussion in 'General' started by Peter Clare, Jun 19, 2008. Guy Hudson and bamboo43 like this. How did I miss this one VP? Yes, Chindit 1. He had just seen 17 of his comrades airlifted out of Burma in a Dakota, he and the rest were dropped new boots and told to march the rest of the way! Hence his expression. canuck and Deacs like this. How about this one. Not exactly knackered but certainly replete. My father wrote on the back of this " Pte. Bennett in recumbent position with Rum and Beer"
Dated December 1945. The war is finally over, and Pte. Bennett and his colleagues having fought their way through Burma and finally after Operation Zipper have seen the Japanese surrender in Malaya. The 9th Battalion, Royal Sussex can finally relax as they look forwards to returning home. They have been away for years and can only dream of their future life. Guy Hudson, canuck and dbf like this. 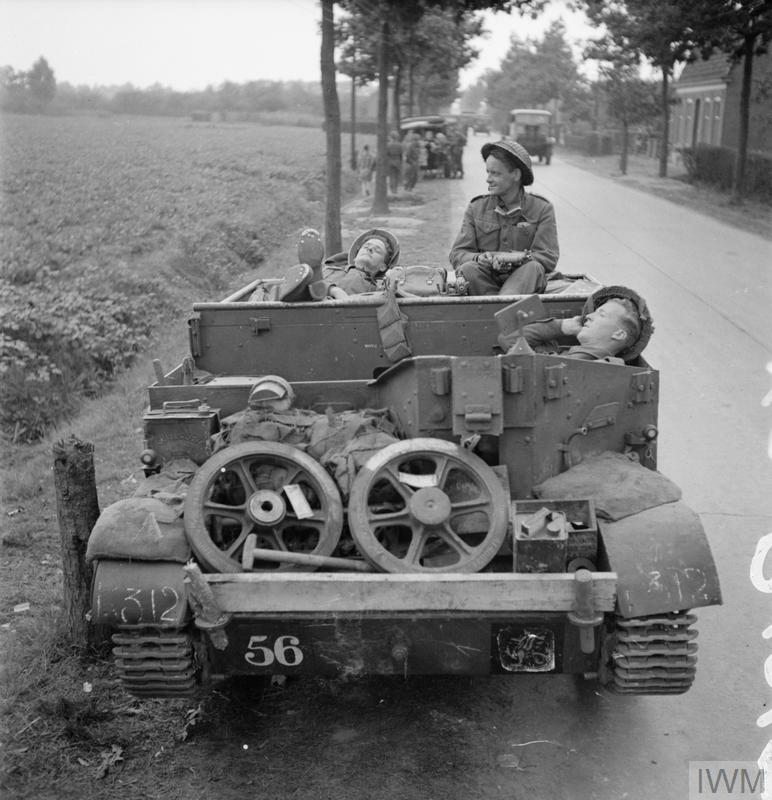 A universal carrier crew of 4th Wiltshire Regiment's anti-tank platoon, 43rd (Wessex) Division, 21 September 1944. Shared by the excellent Pike Grey on Twatter. A First War Austrian chappie. Owen and Dave55 like this. Interestingly, the technique of tensing and relaxing each muscle in turn, from head to toe (para 3), is what I was taught years ago in yoga, only in reverse. The fourth paragraph is quite possible when you're in good shape (I wake before my alarm for anything urgent), but more like wishful thinking when you're cream-crackered. He's trying to gather the energy to tell the photographer, who is probably dry, if not clean, where to put his camera.